Congratulations to "Trish J. ", the winner in Michelle's giveaway. Thank you to all who participated! As a romantic suspense writer, it’s my job to keep you—the reader—on the edge of your seat throughout the course of a story. I want you to believe that my hero and heroine are in mortal danger, and also that their love develops naturally and realistically throughout the course of the book’s events. But it can’t always be bullets and kisses…can it? Think about it—if all the story ever did was leap from a scene of bullets flying to a stolen kiss and back to more bullets, you’d never have a chance to catch your breath. You’d be worn out halfway through the book! So would the characters, for that matter. Pacing a story in a way that keeps things moving but doesn’t stall the course of events requires what I like to refer to as “quiet moments.” These are scenes where the tension is still high, but the stakes are much smaller—and yet, still incredibly important. One of my favorite things to do in these quiet moments is to show you, the reader, the softer side of my hero. In romantic suspense stories, we expect and love our alpha males, don’t we? They take charge, run into danger to save people, they’re competent and often have difficulty showing emotion to the heroine. A quiet moment is a great way to draw out some of that emotion, or at least give the reader some insight into what the hero will be like once the characters reach their happily ever after. One of my favorite ways of doing that, for example, is having the hero remember how the heroine likes her coffee—a man attentive to the small details is thoughtful and makes the heroine’s needs a priority even in the midst of danger. 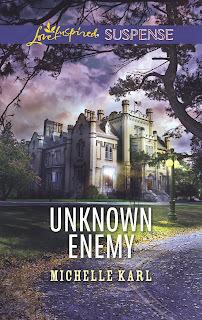 In my latest release, UNKNOWN ENEMY, my professor heroine Ginny has a pet betta fish in her office. She has very few friends outside of work simply due to the circumstances of her life, and as the reader, you’ll know right away that this little fish means as much to Ginny as another person’s dog or cat might mean to them. Without giving anything away, let’s just say that in a quiet moment when everything appears to be lost, Colin—the hero, a former Secret Service agent—gets a chance to reveal his heart to the heroine, despite his hard exterior, when something happens to the little fish. Don’t worry—it’s a happy ending for everyone involved!—but hopefully in that quiet moment, you’ll see an alpha male show his softer side to win your heart, too. It’s those little actions combined with the grand gestures that really win a woman over, isn’t it? It’s a hero’s ability to reach out to the woman he’s falling in love with during the moments of lesser suspense as well as when being chased by a villain that makes me fall in love all over again. Has a significant other (or a friend, even!) ever done something unexpectedly sweet for you in the midst of a tense situation or a bad day? Share it with me in the comments below! 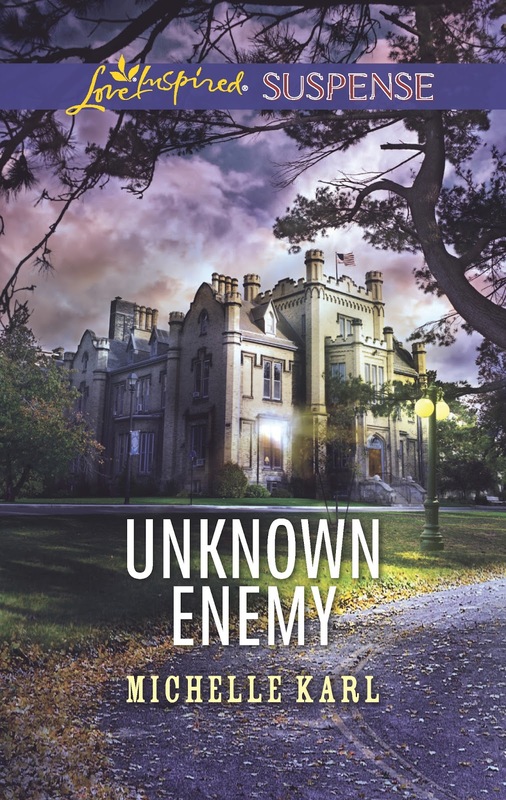 Commenters will be entered into a giveaway to win one copy of UNKNOWN ENEMY! I do love to see the softer side of a hero. Just being there for someone helps immeasurably. After a busy, hectic day at work where everything seemed to be going wrong, hubby brought me a rose when he picked me up. When we got home, I found out he had made dinner as well. Being around my dog and fish makes my days better... sometimes my family does something to help when a day can be crazy... :) Thanks for sharing! My grandsons who are 15 and 12 now...still give hugs and kisses. This always makes my day. Thanks for the chance to win this book...sounds terrific. My son has often made a bad day better but just giving me a hug when I come home.